This was a completely unexpected and surpassing experience. I was headed to a completely different place and only decided to have a look at the lake’s tributary to check on those two loud kestrel families excited to be back to their nesting sites. Then I saw this distant, brown furry thing in the water. At first, I thought it must’ve been a beaver. They’re quit common out here. After closer inspection through my binoculars, I knew I was witnessing something I’d never seen before – a wild otter fishing under the ice. I don’t think they’ve been here before. I’m pretty sure I would’ve noticed, even though I hadn’t been around for quite a while, and sadly spent most of the time in a big city in another country. I guess they traveled along the rivers just like the beavers did years ago, when they suddenly appeared out of nowhere. 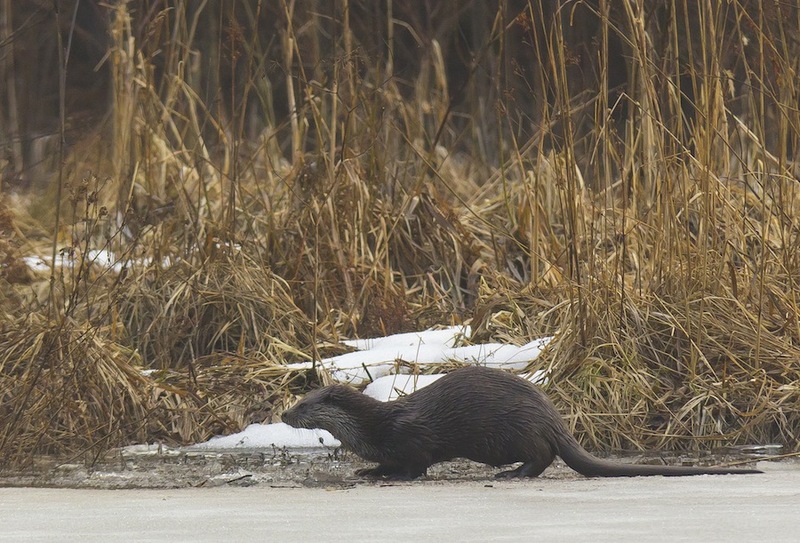 Nevertheless, the otter was there fishing under the ice, unintentionally spooking the mallards, which it didn’t even seem to notice. Just like it didn’t seem to mind me – a clumsy, noisy ape, with a strange hump on its back, getting closer and closer through the crunchy snow. аrtіcle. I’ll be sure to bookmark it and come back to read extra of your useful information. Thank you for the post. I’ll certainly return. Pretty! This has been an incredibly wonderful post. Many thanks for suplying this info.